I’m not sure how to put into words everything that Water Music has made me feel. It was tragic and beautiful, frustrating and poignant. A reminder that life doesn’t always lead us where we expect it to and all we can control is our reaction to it. 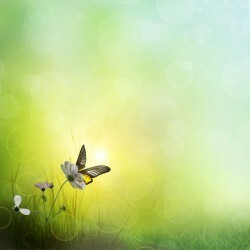 That no matter what happens we choose our reactions and our decision to be happy or not. That people aren’t good or bad, but an ever-changing mix of the two, and that strength is sometimes quiet and untouchable through life’s unending challenges. The book follows the lives of rivals, lovers and friends in the course of their careers; their highs and lows, wins and losses in and out of competition. I enjoyed the way the story built slowly, giving us brief glimpses into the past until we had a full understanding of where the characters came from, their desires, dreams, hopes and fears. It was beautiful to see the past and present coming together to form a more coherent story, making us feel the emotions as the characters re-lived the moments. I truly didn’t foresee the twist at the end, even if all the foreshadowing was well laid out, and it elevated the story for me. Dylan: He is truly the tragic hero in my opinion, and the strongest of the four, for having the courage to do what he believed was for the good of those he loved. Was he right in his choice? Probably not, but good intent is the downfall of the tragic hero. Ali: Honourable and humble to the end, so self-contained and self-sufficient that I can only admire him for it. Alex: Yes, truly ironic his story. And yet he gets it, in the end, and stoically accepts this. Daniel: It was incredible to see Daniel’s struggle and to see where his actions originated from so that even if the actions were sometimes (often) hateful, we were still able to be (somewhat) sympathetic to his emotions and understand where they were coming from. 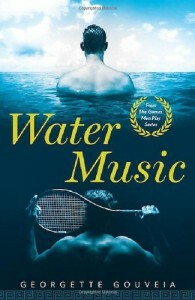 While it did get a little bit overly-wordy at points, and the editing could have been a little tighter, I think Water Music was an exceptional book and I will be looking for more work from this author in the future. I would recommend this to anyone who loves watching characters grow according to the changes in their lives. Characters who have real emotions that lead to real actions, even if they’re not always right and just.